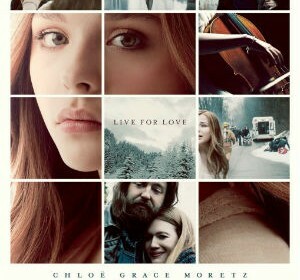 If I Stay, a beautiful romance novel written by Gayle Forman, is a captivating story about a seventeen-year-old gifted cellist named Mia Hall. Mia faces many difficult choices, she can follow her love of music and go to Juilliard University to accomplish her cellist dreams, or she can stay with her family and the people she loves. Suddenly, all of those choices become meaningless, because on one fateful morning, a disastrous car wreck lands Mia in a coma and her world is turned upside down. Now Mia faces the biggest choice of her lifetime -if she stays. Gayle Forman’s If I Stay entranced me with its enthralling characters. Forman created characters that showed a profound amount emotion and vividness throughout the entire book. The characters never once seemed like they were emotionally manipulated or impractical. My favorite character in the novel was the protagonist, Mia Hall, because she is like every other teenage girl, with flaws and perfections. She is a brilliant cello player and loves classical music, but she feels out of place next to her rebellious rock and roll family and boyfriend. When the tragic car accident occurs, Mia goes into a coma and watches the world around her in limbo. She is witnessing the lives of those who care for her, and those she cares for in return struggle, without the power to do anything but watch. When Mia realizes that she has to ultimately decide to stay or to let go, she surprisingly handles the pressure of deciding her future well. Mia Hall is a marvelous character and everything about her was fantastic. The characters of If I Stay were exquisitely created, they were all so unique in their own way. Overall, I loved If I Stay, this devastating romance novel held my interest from the beginning to the end. Although the book was a great read, it wasn’t exactly perfect. For example, the book is a bit confusing because Mia starts to recall stories that happen in the past for so long that the reader starts to believe it’s the present. Nevertheless, I would recommend If I Stay to people who love books that bring you through a roller coaster of emotions. If I Stay is a brilliant novel that reminds me to be grateful for everything you have because it can be taken away in a blink of an eye.